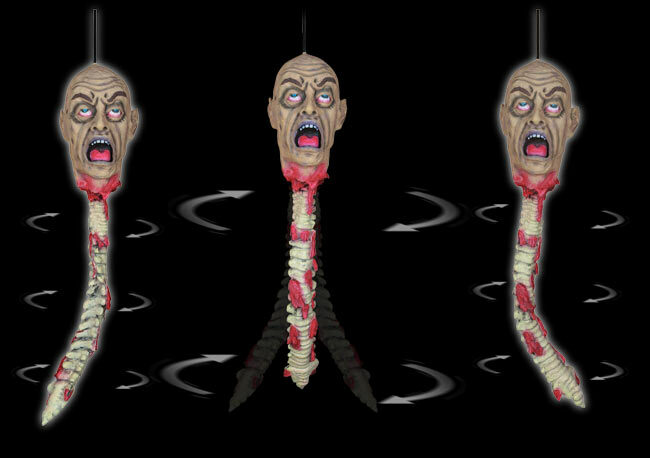 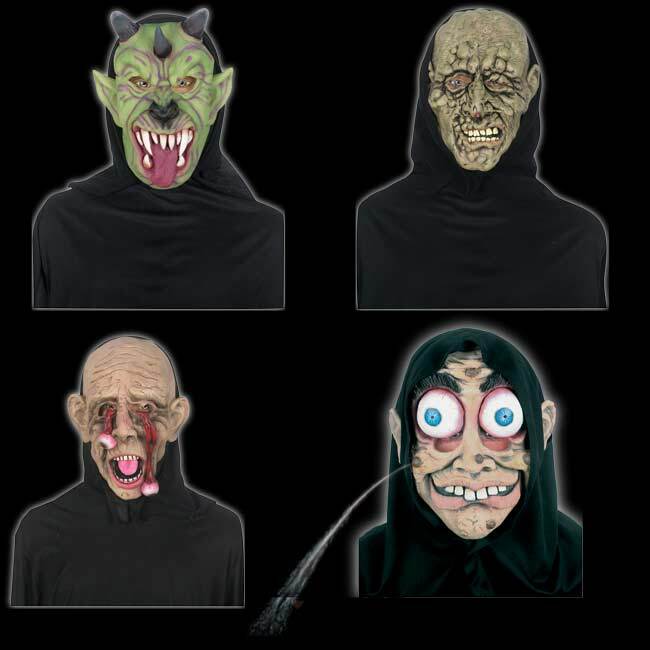 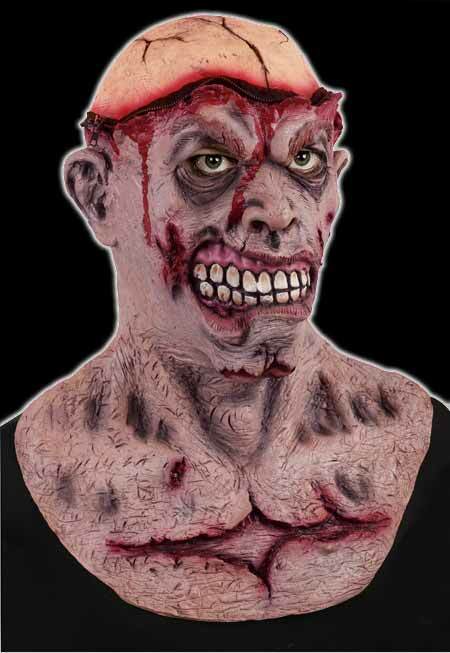 This animated Halloween decoration is full size and runs on standard 120v power source. 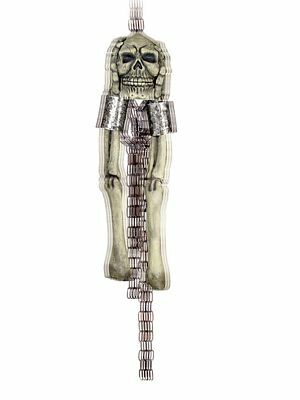 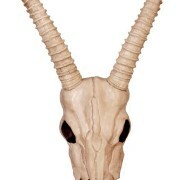 The metal chains that rattle while the head and arms are shake make the scary skull prop that much creepier. 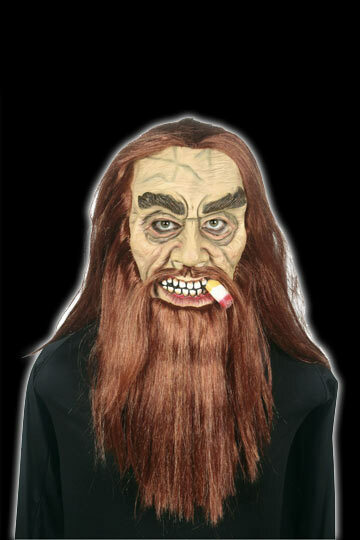 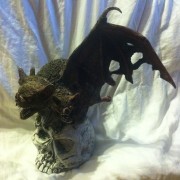 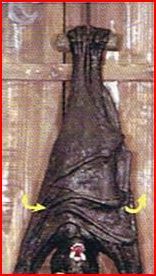 Great haunted house prop for your haunted attraction or Halloween display.